Earth Hour, the world's largest collective environmental movement, has united millions of people across 180 countries to turn their attention towards preserving the earth’s natural resources and promoting the use of renewable energy. This year’s theme is “Reduce, Rethink, Change the Way We Live” and focuses on eliminating unnecessary single-use plastics, sustainable consumption, and a reduction in our ecological footprint. The lead-up to Earth Hour included awareness-raising activities for students, the public and the business sector. 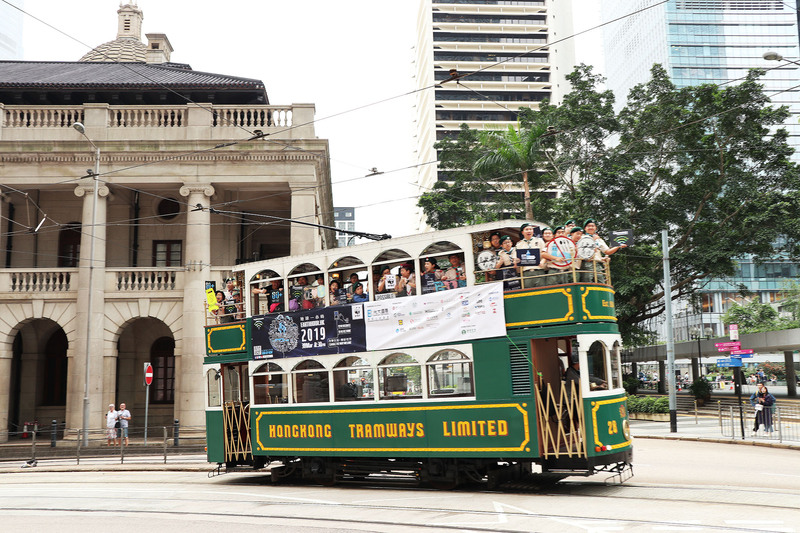 WWF’s One Planet ambassadors took part in a tram parade while at the Earth Hour Village at Tsim Sha Tsui, educational games, VR booth and film screening raised public awareness of the urgent need to preserve the earth’s biodiversity and safeguard Hong Kong’s remaining ecologically important areas and species from development pressures. 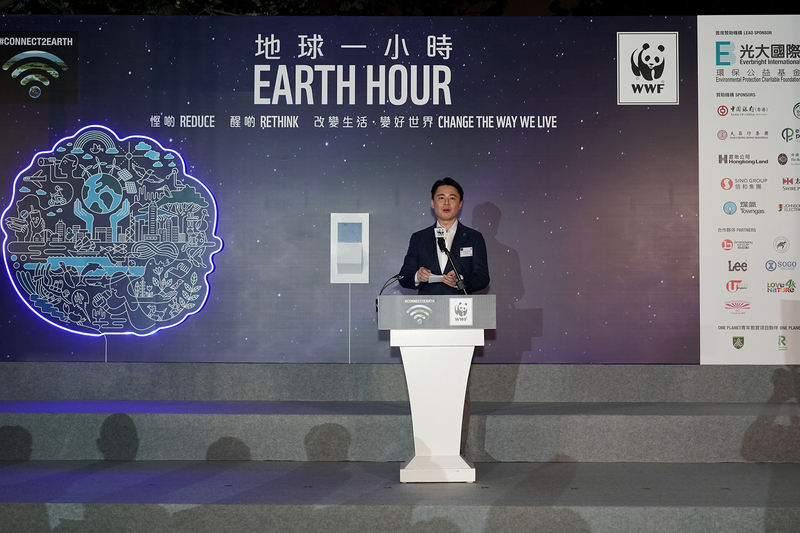 The Earth Hour 2019 countdown, held at the Hong Kong Cultural Centre in Tsim Sha Tsui Piazza, was officiated by Mr Wong Kam-sing, GBS, JP, Secretary for the Environment of the Hong Kong S.A.R. ; Mr Liu Zhi Ming, Deputy Inspector of the Department of Educational, Scientific and Technological Affairs, Liaison Office of the Central People's Government in the Hong Kong S.A.R. 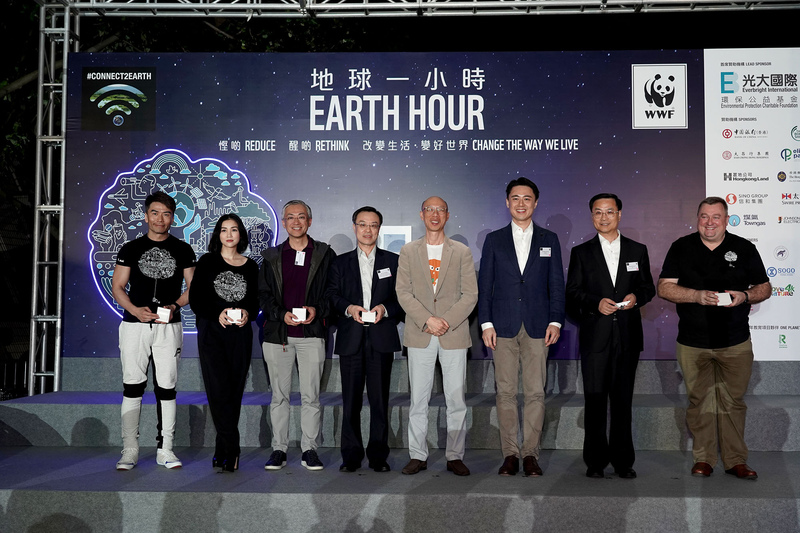 ; Mr Wang Tianyi, CEO of China Everbright International Limited; Mr Shun Chi-ming, JP, Director of the Hong Kong Observatory; Mr Edward M. HO, Chairman of Board of WWF-Hong Kong; Mr Peter Cornthwaite, CEO of WWF-Hong Kong; along with our Earth Hour 2019 ambassadors, Ms Kay Tse and Mr Michael Tong. An array of landmarks and iconic buildings also turned their lights off to support Earth Hour, including the Tsing Ma Bridge, International Finance Centre, the Hong Kong Cultural Centre, International Commerce Centre, the Hong Kong Convention and Exhibition Centre, the Hong Kong Observation Wheel, Government House, the Chief Executive's office and the Legislative Council complex. The daily harbour front light show “The Symphony of Lights” was also suspended for Earth Hour. (From right to left,) Earth Hour 2019 ambassadors, Mr Michael Tong and Ms Kay Tse; Mr Shun Chi-ming, JP, Director of the Hong Kong Observatory; Mr Liu Zhi Ming, Deputy Inspector of the Department of Educational, Scientific and Technological Affairs, Liaison Office of the Central People's Government in the Hong Kong S.A.R. ; Mr Wong Kam-sing, GBS, JP, Secretary for the Environment of the Hong Kong S.A.R. ; Mr Edward M. HO, Chairman of Board of WWF-Hong Kong; Mr Wang Tianyi, CEO of China Everbright International Limited; and Mr Peter Cornthwaite, CEO of WWF-Hong Kong pressed the light off button on stage to officially kick off the light off ceremony. 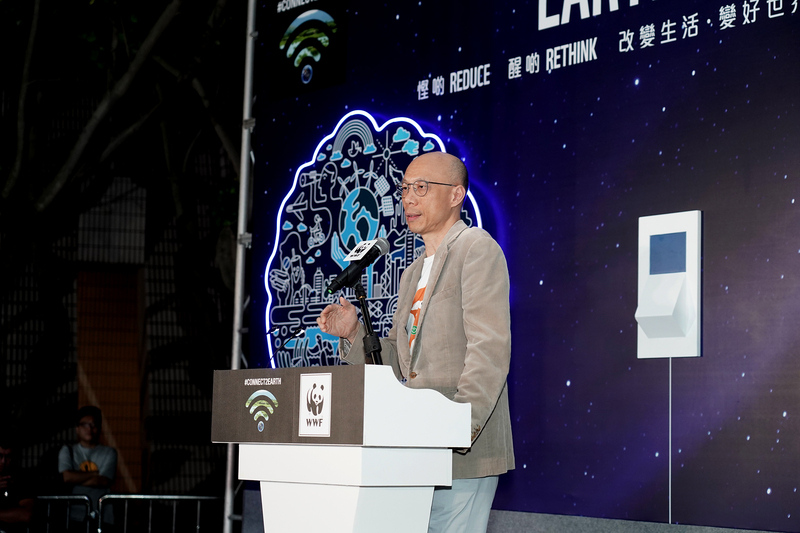 Mr Edward M. Ho, Chairman of the Board of WWF-Hong Kongencouraged the public to reduce the use of single-used plastic and lead a sustainable lifestyle. Mr WongKam-sing, GBS, JP, Secretary for the Environment of the Hong Kong S.A.R. said that public support is essential if Hong Kong is to realize the low carbon transformation. 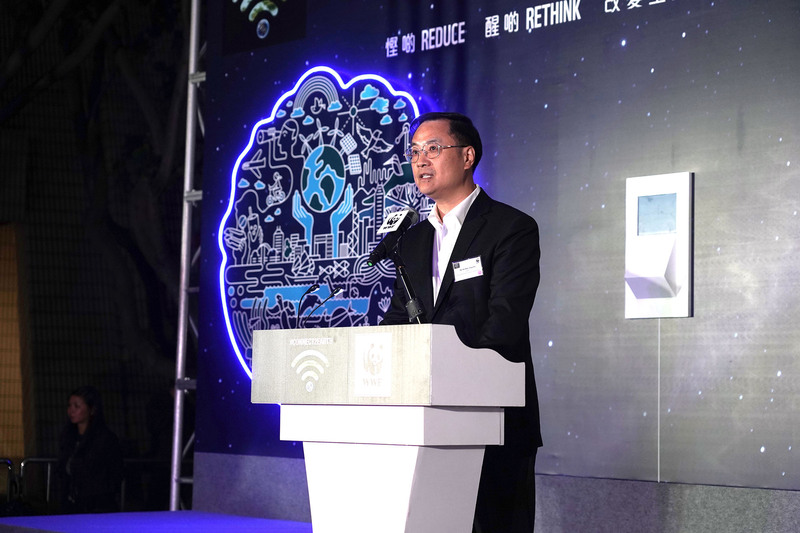 Mr Wang Tianyi, CEO of China Everbright International Limited, Earth Hour’s lead sponsor for six consecutive years, said that corporates can invest more in the environmental protection industry for the sake of the next generation and support sustainable development. Kay Tse has been Earth Hour ambassador for eleven consecutive year, she stressed the importance of small changes in daily life, such us bringing own lunch boxes and using reusable utensils. 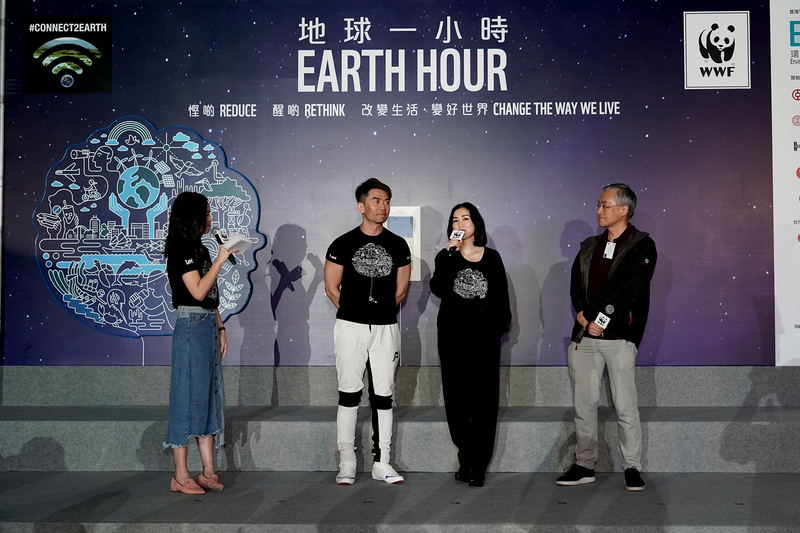 Another Earth Hour ambassador, Michael Tong, said plastic pollution is aggravating and human should take up the responsibility by stop using single-used plastic. Moreover, Shun Chi-ming said climate change boost storm surge, which unveil the serious marine litter problem. Many iconic buildings along the Victoria Harbour went dark to support Earth Hour after 8:30pm. WWF’s One Planet Youth participated in a tram parade this afternoon to spread Earth Hour messages to pedestrians.